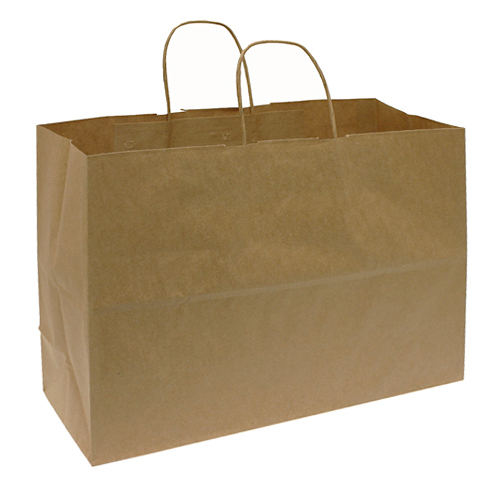 The Eco-Friendly Paper Shopping Bags have a strong twisted paper handles on a matte finish 60-80 lb paper bag. Made with 100% recycled material. These Kraft color Shopping bags have a flat bottom to make it easier to fill at checkout and great for your more fragile merchandise. Add a customized label for a personalized touch or order custom ink printed bags. Search custom labels and bags.